Lock in a great price for Vorina Ktismata – rated 10 by recent guests! Amazingly decorated rooms with good eye for detail. The balcony was enourmous with a fantastic view. Breakfast was like eating in a restaurant. Very friendly owners and staff. 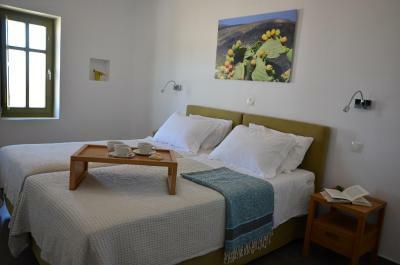 This accomodation stands out in comparisson to other cyclad experiences I had. 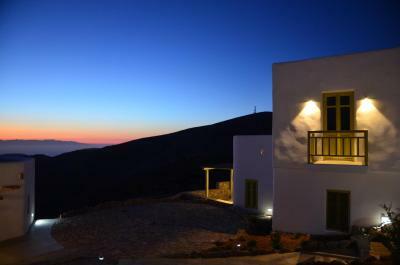 Probably one of the most unique places to stay in Cyclades! 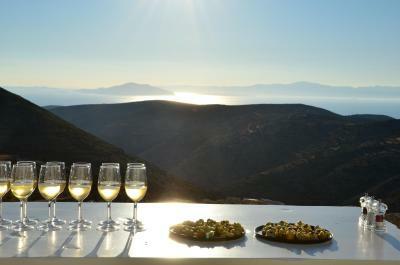 stunning view on the aegean sea and the chora, suites decorated with exquisite taste, great peaceful location next to chora..Nikos and Alexia are the most amazing hosts, focusing to the smallest detail!Nikos’s excellent advise (his knowledge of the island and all the best places is impressing and he is more than happy to share it with his guests) and Alexia’s homemade marmelades (by far the best breakfast inspired entirely from local flavours) will make your stay unforgettable ! Enjoy! Vorina Ktismata is perfect in every single way. 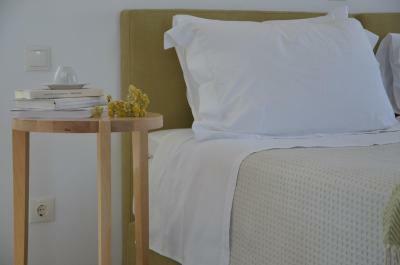 Amazing location, gorgeous views, beautiful architecture, spacious, spotless and comfortable rooms, outstanding breakfast. Nikos, Katerina and Niki are some of the friendliest people I have met and truly cared about making our stay as enjoyable as possible. 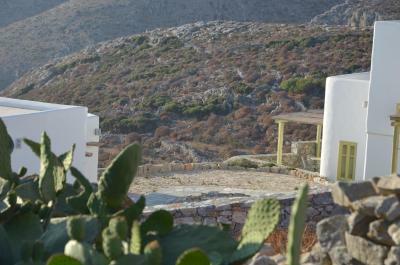 Much like Amorgos itself, Vorina Ktismata is in perfect harmony with nature and its surroundings, making it a very peaceful and special place. Thank you for everything! 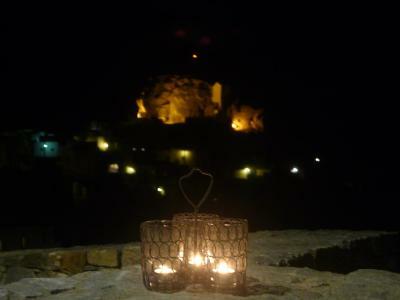 The room, the terrace, the view, the mild climate up in the mountains, the breakfast and the friendly and helpful staff. Excellent in all possible aspects! 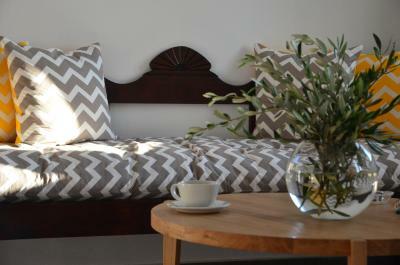 Top location, beautiful design, fantastic breakfast with organic products and very nice & helpful hosts. A place you don't want to leave. The breakfast was amazing, the vue from our room was mesmerizing. The breakfast is fantastic! 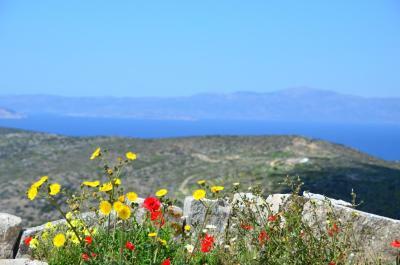 The staff are absolutely lovely and the location is excellent for exploring the island. Nikos our host was very friendly and helpful. Katarina was outstanding. You couldn't get a more attentive, friendly and helpful person. Breakfast was amazing. We are celebrating our 30th wedding anniversary and Nikos gave us a complimentary bottle of wine, very nice wine and a generous gift. We had to leave very early to catch our ferry and Katarina packed us some breakfast to take. 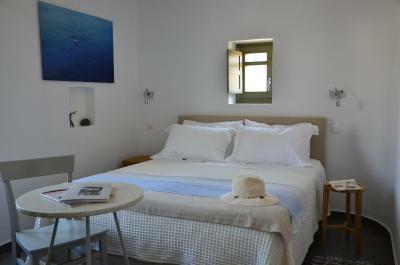 The rooms are very comfortable and very well located. Highly recommended to all. Great location of the hotel. Very nice and helpful owner and staff. Stylish and spotless room. Great few over the islands to the sea. Good Wifi all over the premises. Excellent breakfast with natural and organic food. 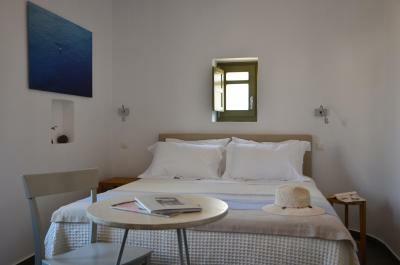 Located in the scenic Amorgos Town, the Cycladic-style Vorina Ktismata offers elegantly decorated accommodations with Aegean Sea view and free WiFi access. The town center is just a 4-minute walk away. 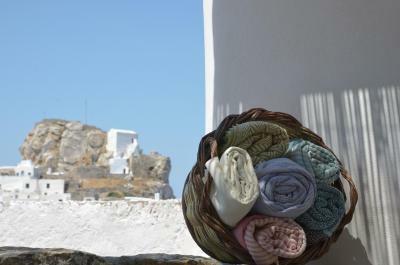 Fitted with Cocomat's 3-layer sleeping system, pillows, linen and slippers, all rooms and suites of Vorina Ktismata open to a private balcony or terrace. 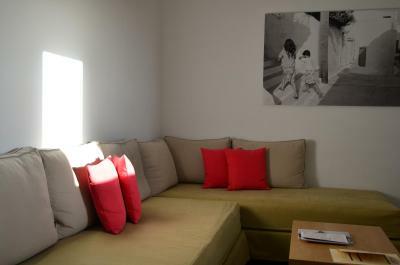 Each is equipped with a satellite, flat-screen TV, desk and air conditioning. 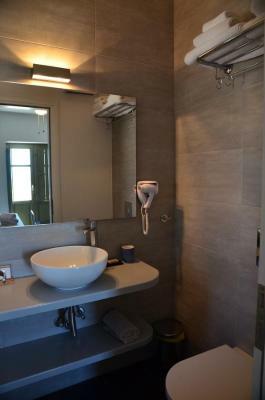 The modern bathrooms come with shower, hairdryer and luxury personal hygiene products with Greek bio olive oil. Daily cleaning service is provided. 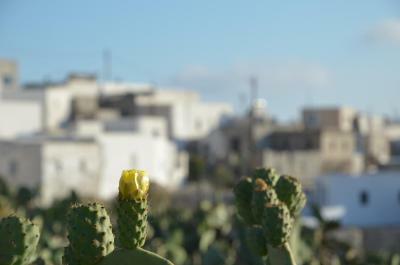 A breakfast prepared with fresh local products can be enjoyed daily from 9:00 until 11:00. Vorina Ktismata is located 3.7 mi from Katapola Port and 9.9 mi from Aegiali Port. Panagia Hozoviotissa Monastery lies within 1.9 mi away. Taxi transfer can be arranged upon request and at extra charge, while free car transfer can also be provided upon request and availability. 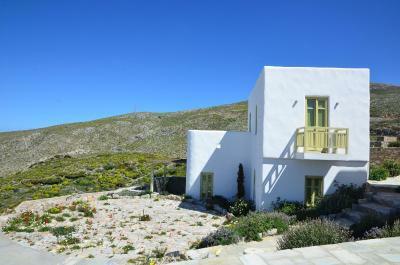 This property also has one of the top-rated locations in Amorgos! Guests are happier about it compared to other properties in the area. 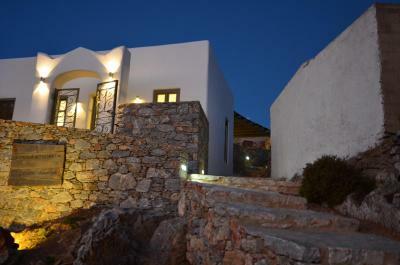 This property is also rated for the best value in Amorgos! Guests are getting more for their money when compared to other properties in this city. 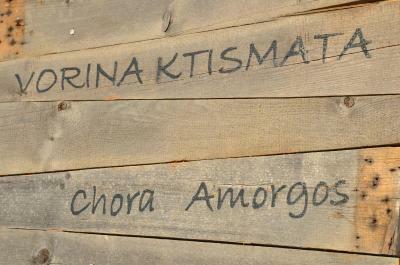 When would you like to stay at Vorina Ktismata? 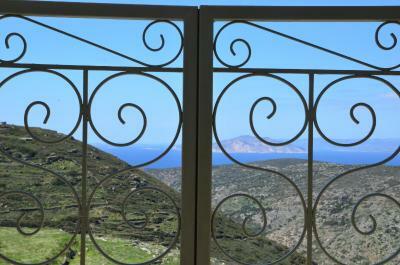 Elegantly decorated suite with a terrace overlooking the Aegean Sea and the mountains. It is fitted with Cocomat mattresses and linen and includes a seating area, a flat-screen TV, free WiFi and air conditioning. Please note that a laptop can be provided upon request and availability. Kindly note that children accommodated in this room type must be above 10 years old. 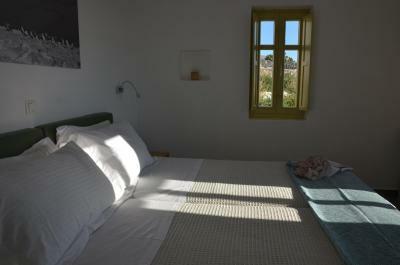 Elegantly decorated room with a balcony overlooking the Aegean Sea and the mountains. 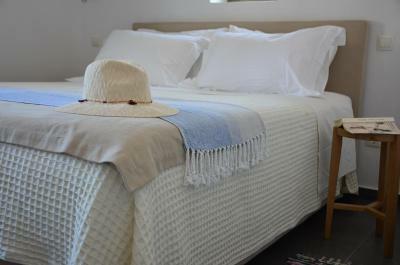 It is fitted with Cocomat mattresses and linen and includes a flat-screen TV, free WiFi and air conditioning. A mini fridge is also included. House Rules Vorina Ktismata takes special requests – add in the next step! Vorina Ktismata accepts these cards and reserves the right to temporarily hold an amount prior to arrival. Kindly note that free car transfer can be arranged upon request and is subject to availability. Please inform Vorina Ktismata of your expected arrival time in advance. You can use the Special Requests box when booking, or contact the property directly using the contact details in your confirmation. When you stay in this hotel you feel like you are invited to a friend's house. 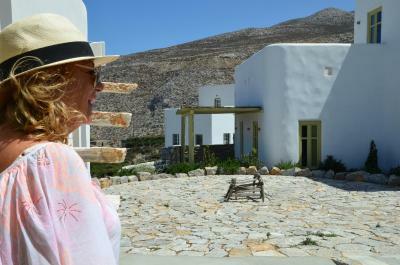 This was the best hotel experience we had in the Cyclades. The hotel and the room are really cosy and comfortable. Nikkos the owner is a cultivated and very friendly man, with very good taste you will enjoy spending time with him. He even came to pick us up at the port. One night we came back to the hotel tired and he sent into our rooms for free 2 glasses of a very nice local alcohol with some bread and a eggplant/capers caviar he made ! Katarina the lady who cook and serve the breakfast is really sweet and she always make sure you have everything you need. 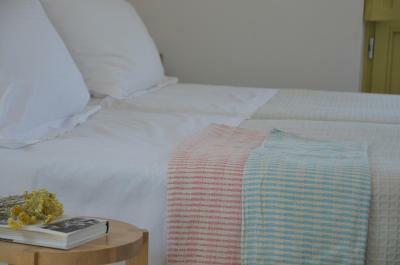 They both really like having guests (and they never are intrusive) you will be sad to leave them! Leaving this hotel felt like leaving a holiday camp when you're a child. The breakfast is the B E S T we had in a hotel, there is nothing industrial, everything has been chosen with care, the quality of the food is really high and a lot is home made. As a big fan of tea I enjoyed the large choice of good quality teas they had (the jasmine one was amazing). 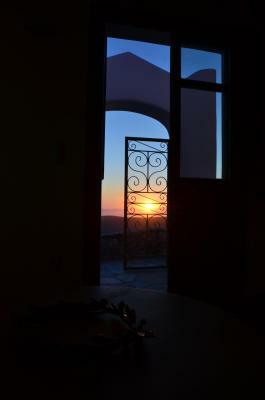 The location is perfect, the hotel is very very quiet, super relaxing but in the same time it is a 5minutes walk to Chora the capital of Amorgos. The wifi works perfectly. The balcony is nice for sunset. We will definitely come back. Thank you! FX and Lucile. 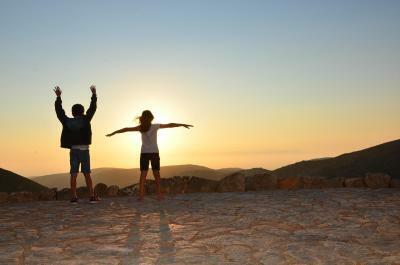 It is difficult to think of anything we did not like. 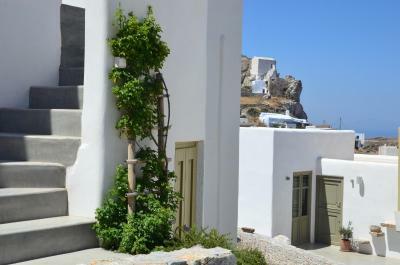 We booked a suite at Vorina Ktismata for our 3 day stay in Amorgos island. 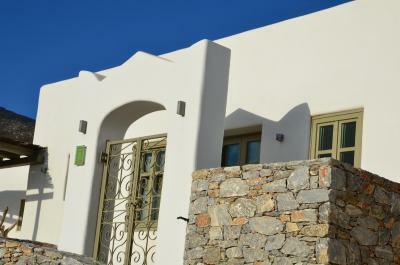 Located over the outskirts of Chora, the island’s picturesque capital, it is the perfect location to “divide” the distance between the northern and southern parts of the island. 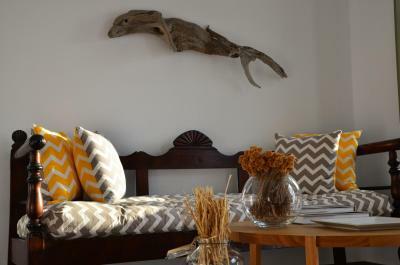 With respect to the suite, it was spacious, meticulously arranged and decorated in a way to feel modern but preserve and certain island flair at the same time. 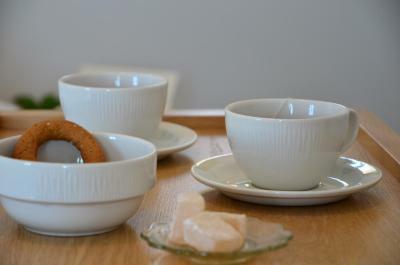 This was an ideal combination for a relaxing atmosphere, exactly what we needed. 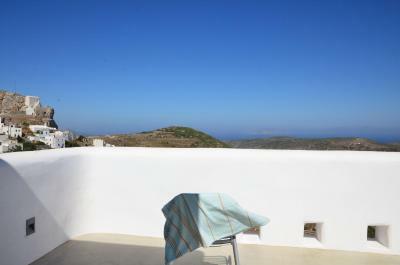 The spacious balcony with the sunset view completed the pleasure of staying in Vorina Ktismata. In t he mornings we enjoyed a breakfast, consisted of a variety of locally produced goods (cheese, tomatoes, fruit, dry bread among others) and the service was very attentive. Freshly prepared eggs, juice and coffee were a pleasant addition which contributed to our perception of true hospitality from the behalf of the owners, The manager, Niko, did also come up with many recommendation for food, drink and sightseeing all over the island and also helped us with practical matters like renting a car and making reservations. 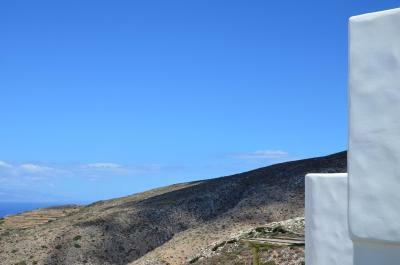 We left Amorgos and Vorina Ktismata with the best impressions and we would definitely return again in the future. We liked everything! No complaints whatsoever. The staff are so nice and amazingly helpful. 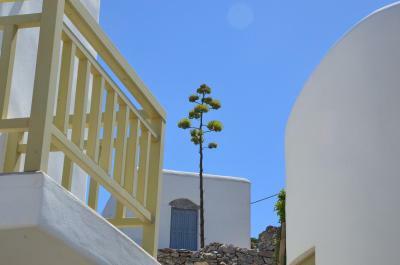 Just over 10 minutes drive from Katapola port and 20 from Aegiali, you get yourself to the magical town of Amorgos which in my opinion is the best place to stay. 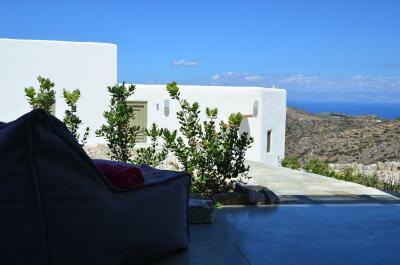 Vorina Ktismata came up on one of my extensive searches for accommodation and I consider myself lucky for managing to find availability in one of their 5 amazing suites. 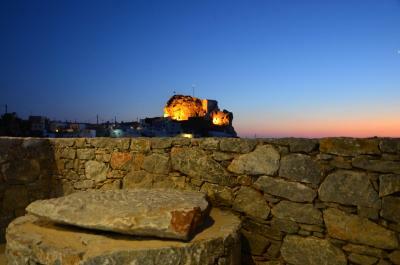 The complex is built on the edge of the town with magnificent views of both the castle and the sea with an add on bonus one of the best sunsets on the island. 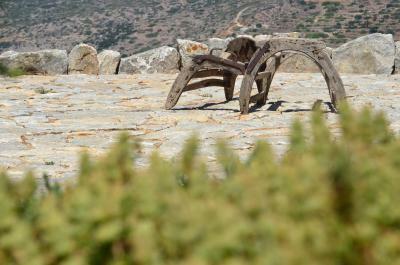 Ask for a bottle of nice Greek wine and enjoy from your private patio / balcony. It will certainly create some great memories for the years to come. 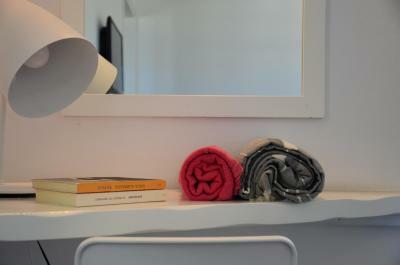 The rooms / suites are very tastefully decorated and you can see the attention to detail in every corner you look. A lot of thought and love was put into the building and decorating this place and it really shows. Very rare for Greek standards! All 3 important boxes were ticked and exceeded expectations. Suite had plenty of natural light The place was spotless And as a fan of coco-mat, the bed and pillows guarantee a great night's sleep. 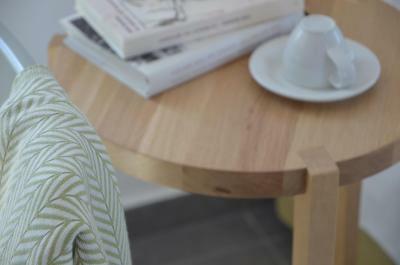 Home made breakfast is served every morning, pure quality full of traditional flavours. I'm not a breakfast person, this must have been one of the best omelettes I've ever had. Despite Vorina Ktismata having only 5 rooms, your privacy is almost guaranteed. 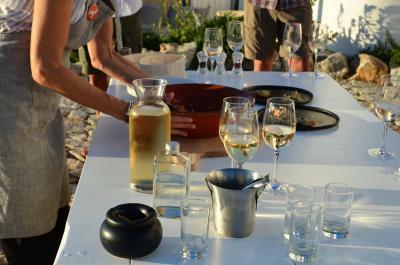 The owner's hospitality is second to none and his personable yet discreet approach adds to the whole experience. Everything is just balanced! Similarly, the rest of the team appears to share the same qualities, always greet you with a smile and get out of their way to guarantee you holiday is truly special. I believe your experience @ Vorina Ktismata will be magical and I would look no further. Take it from a highly critical perfectionist that was not able to find a flaw.